While Missouri’s corn and soybean crops showed improvement in the last week, the state’s wheat crop was not so lucky. 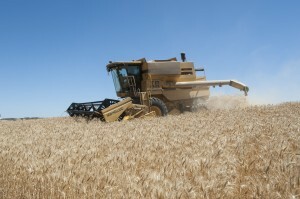 Winter wheat harvest is off and running with just near half of the acreage harvested. However, the wheat crop condition is not looking as favorable. According to the USDA Weekly Crop Progress and Condition Report, winter wheat condition was rated 49% good to excellent, down from 52% last week. Statewide temperatures averaged 75.5 degrees F for the week ending June 29. The state average rainfall was 1.60 inches. The warm weather boosted both corn and soybean condition. The corn crop was rated 79% good to excellent. Soybean emergence was at 95%, with nearly three-quarters of the crop considered in good to excellent condition. For livestock producers, the mix of rains and sunshine are creating ideal pasture growing conditions. Nearly 90 percent of all pastures are considered to be in fair to good condition. More warm weather with spotty rains is forecast for the remainder of the week across Missouri.